Figured we might want a thread to discuss. As far as I see it, Mitch (and MJ by proxy) are hanging their hopes on Kemba retention around making the playoffs full stop. So regardless of what realities lie beyond June, if we assume, that's the metric by which we should care, here we are on the morning of game 55 at 2 games below .500. 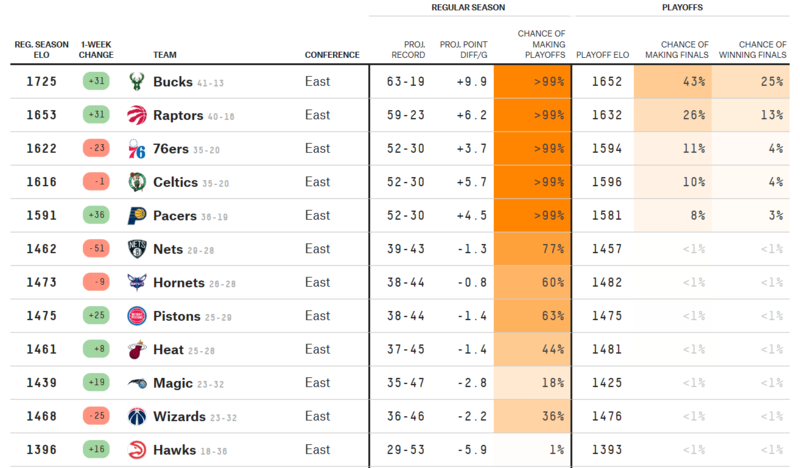 FiveThirtyEight has with a 38 & 37 win season and a similar 60-65% playoff probability depending on model. Now neither of these predictors mean anything if we come out of the trade deadline flat or exit the ASB like we don't care. But if Mitch is right and those around us don't care as much as we do about making the playoffs, then this should be interesting to chase. I'm hoping that we can get up to 6th but I have no reason to think that our addition (Cody) is equivalent to the Nets (LaVert) but will be interesting to watch. ...the latter is more complex, using team depth charts and constantly updating player ratings to track just how much talent is on each team (after accounting for trades, injuries and disgruntled teammates). Me: Would love to make the playoffs and have the young guys get a taste if the postseason. Reality is we lose in round 1 in a gentleman’s sweep. Also me: let’s miss the playoffs and avoid the embarrassment. Then pull for lady lottery luck to repay us for all the pain of the past. Gift wrapping Zion to Charlotte and completely changing the outlook of our team for the next decade. The Nets have Shabazz tho! There has never been a more lead pipe solid lock than the New York Knicks getting the number one pick. Forget about it. Why not Cleveland again? I’m all in on Cleveland. By "playoff push" I'm assuming you mean all of the other teams in the Eastern Conference? 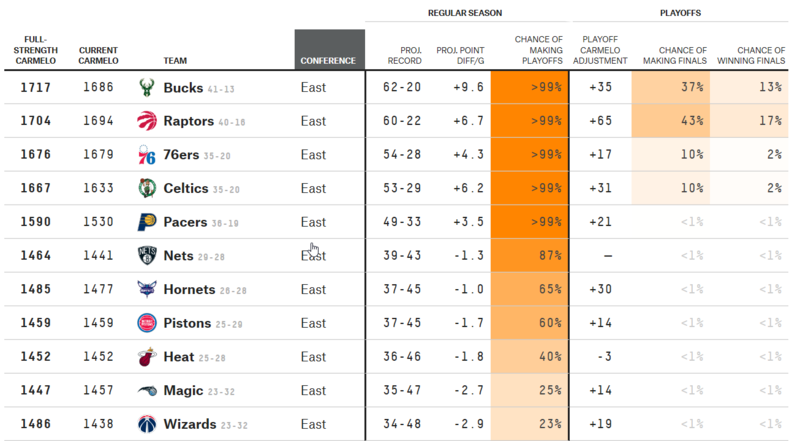 As it applies to the Hornets, maybe a "playoff stumble and fall" title is more appropriate. I just have this feeling Miami is going to make a post all star break run and we're gonna end up the 9th seed by by like 2 games. The NBA would probably prefer this anyway. D-Wade in the playoffs for his last hoorah > Charlotte in the playoffs getting swept. 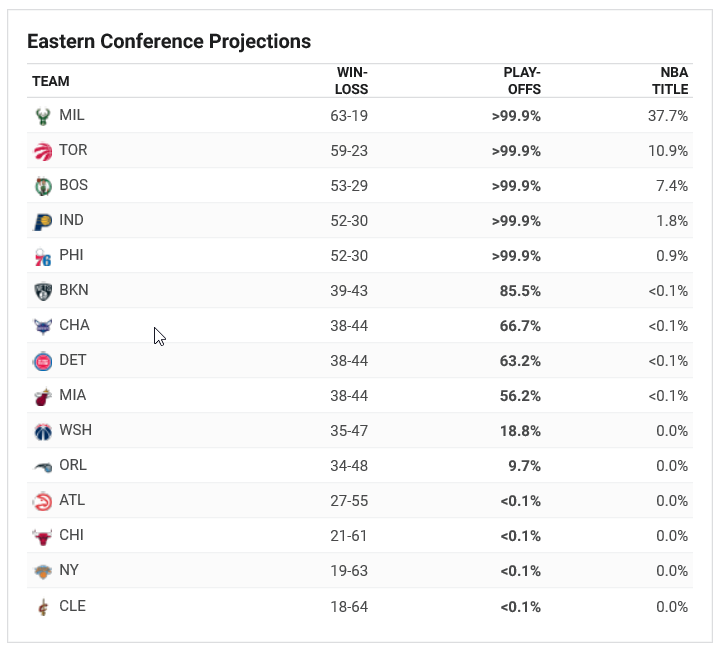 Close finishes predicted, comes down to tiebreakers we got it against Detroit 3-0, 2-0 against both Orl & Miami with 2 games left, 0-1 vs Wiz with 2 games left. Detroit is the one since that scares me since they were really making moves with a seasoned coach. Charlotte is the only team that scares me. With nic Batum shuffling up and down the court like he he's taken a hand full of xanax, you never know what he's gonna do. He could always stand out of bounds during a last second 4th quarter in bounds play in an attempt to tie the game. Or he could just stand outside the 3 point line and brick threes and pose no threat of actually attacking the basket. People can guard him like ben Simmons except he's not a threat to shoot OR drive. Batum can turn our offensive possessions into an NHL style power play-except the Hornets are the ones with 4 players on the penalty kill. Tonight has interesting implications, more interesting if we can take care of business and hold home court tomorrow.